not much room under the intake carl makes. it would screw up the bell spacing. it would have to be some kind of adapter on the back I'm thinking for the MAF, maybe on the sides? Without taking him off ignore, I'm going to assume that the "real" Mark Kibort just stood up.....again. Anyone here have any questions about why I say he will never get one of my intakes? It appears that his medication is not being taken in the prescribed doses. Nice gains above 4,500 RPM !! However, to be fair to the GT dyno at 325 rwhp, was the flappy stuck closed? No, but it was after. These motors are wonderfully balanced, everything is optimized around the factory's horsepower target, which was 0.9x whatever the then-current 911 was producing, depending on which conspiracy theory you subscribe to. THE POINT IS THIS: The intake, the cams, the exhaust, all optimized for 316 bhp for the S4. Change the exhaust, you still have intake and cams limiting power. Change the intake, you've still got the cams and exhaust limiting power. Mark Kibort, YOUR starting point is a 6.5L stroker with good cams and exhaust, OF COURSE the intake is holding you back, that's the only thing that you didn't change. And all of your yammering has NOTHING to do with stock engines. If you think it is simple, do it. We don't need no stinking MAF's. Our GT hasn't had one for about five years now, its running the Sharktuner "Alpha" system (precision TPS compensated for pressure and temperature). "Dissociative Identity Disorder (DID) is a severe condition in which two or more distinct identities, or personality states, are present in—and alternately take control of—an individual. The person also experiences memory loss that is too extensive to be explained by ordinary forgetfulness." right just the nice increase from 4,500 to 6,500 is awesome usable horsepower when you really are pushing it !!! that means pulling off all the "stuff" (headers cams and sharktune) leaves would remove 60hp off that dyno run.. ahhhh, i dont think so.. but hey, its just my "informed" prediction. and guys, i think i have as much experience with bolt ons here as anyone. so the bottom line is that the intake works , and it will be slightly more benefit to the stock S4 than Jim says, but heck, he is not much off my prediction.. diddnt i say in an earlier post that the inake is worth 30hp on a stock S4 and 50hp with all the other stuff on it? Jim says 25hp, so whats 5hp among friends. disclaimer: i am NOT saying anyting i say is "fact". i say it with reference to other information found free on the web, on the track, and here on the list. my theorys are just theories. so let me re-state my thoughts. So, Jim, ill try and if you do to be a little more respectful here. by the way Jim, what was the deal with the flappy? you said "no, but it was after" . ????? curious. a little projection here, dont you think Greg? Thats rich coming from you! jim, you make a huge point here of saying the 928 is optimized and gets 316hp. so, a simple cam change and the car goes to 330hp, right? (flywheel on the GT) i did NOTHING but put on an exhaust (headers and rear pipes) and got 335rwhp, welll above the 275 of a stock S4 and 290rwhp of most stock GTs.... these cars are the equivalent of "blue printed" (motor world terminology) by almost definition (production cars). all 928s will do this.. mine is nothing special as we saw when we dug into it. thats 45-50hp just for an exhaust change (and some minor tweeks in the engine bay (RRFR and maf screen removal). again, THE POINT IS, the intake will help ANY 928 stock, GT or modified , but sure, will have more benefit the more air you are moving (i.e. larger motor, other mods, etc) Its not optimized... it was MADE to do what you said. not give the 928 too much power as to endanger their 911 market. 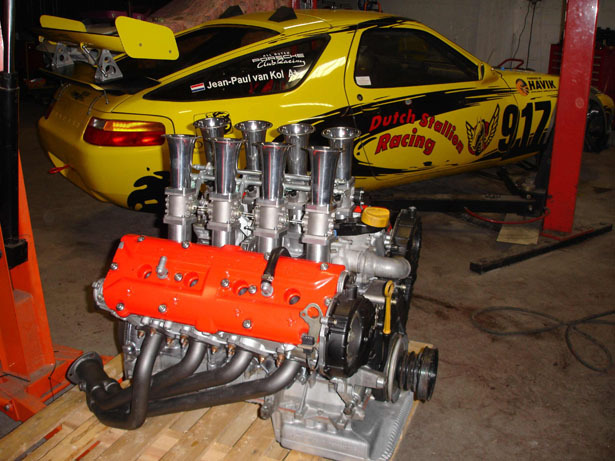 but, again, the 928 has a 5 liter power plant. nice flowing heads a little restrictive cams compared to modern equipment today (mustang 302, vantage V8). but if you put an intake on our cars its going to WAKE up. we are talking 30 hp in my estimation on a stock s4 and near 50 as we have seen with the GT stuff and exhaust and probably the same on the bigger motors for sure. Greg is just pissed and acting out that he is going to do all this work for 4 people in his "circle of trust". this is not rocket science here. i dont have the ability to make it, but there are those that do.. Im sure we will find an intake that we all can enjoy and that wont cost $8000. thats a pure theory of yours. That's funny! again, look up "Projection"
The Dunning condition is one that almost everyone posting here has! 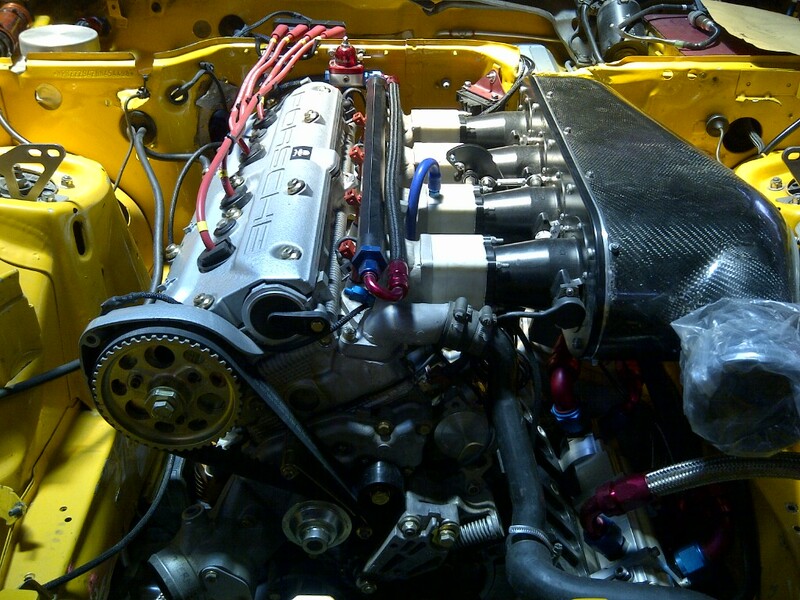 Ive modified the 84 from 177hp to 290rwhp with everything from intake, cams to bottom ends. (and done several others' cars as well). And taking the stock S4 with GTcams from 290rwhp (no cats) to 335rwhp with RRFR and headers, as well as bolted on a big bottom end to it to get 375rwhp. Ive run the times ive run and raced for 15+ years never missing a season, so ive seen a lot and learned even more. and we all know your resume' Glen. I remember adding these things up and applying to my car and it came out that the near stock holbert car, with all the mods, should have 6 seconds faster with the 6 mods I DIDNT have. net net, it would be 1 second faster than anderson ever ran, with only 335rwhp. The reality is that in racing, most of this stuff's value is highly embellished. My only comment to this discussion is that its my belief that the S4 intake is HIGHLY restrictive and some type of replacement will help the engine by at least 25-30hp, just as a bolt on. i think there are many paths to get there , and if mated with headers and cams, that number goes up to almost double! we have already seen Greg Browns intake (that was by his own admission , too large of runners, etc etc) gain 40hp. thats rear wheel HP, and in the spirit of the discussion, that 40hp is more like 45flywheel hp.. thats significant. its his first pass.... there are many intakes out there that could be converted and copied. Im not the guy to design and build it.... im just tossing ideas out there, based on what ive seen and read. go look at the specs for the mustang 302 that gets 450rwhp with just a use of a set of headers and filter box (not intake). go look at the valve sizes, compression and cams. its not too far off the 928. and again, the AMvantage with 4.3 liters making near 100hp /liter with cats and only having 1mm lift greater cams and just over 1 point higher CR. 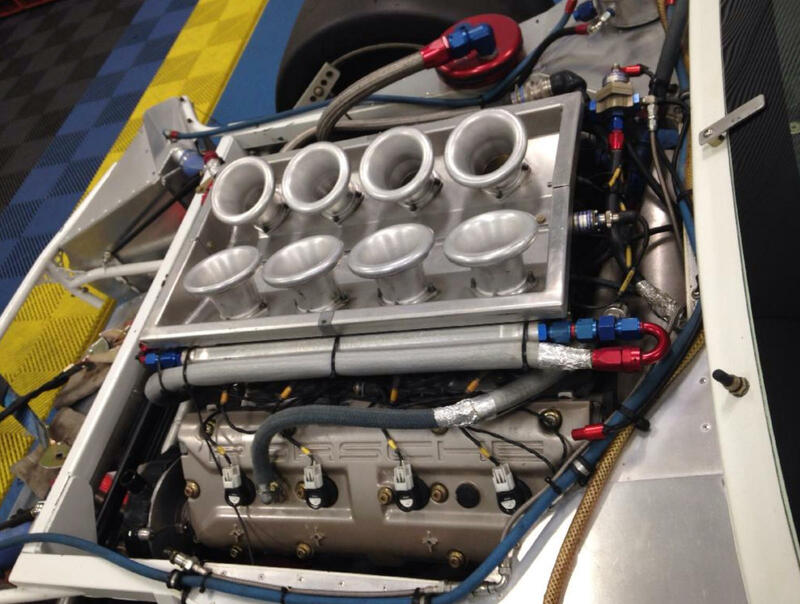 Folks, im not the expert here, but it sure looks like its due to the intake!! Last edited by mark kibort; 03-17-2016 at 03:49 PM. Work with these guys. Once you've got it engineered, I'm sure you can sell a few. Commission an intake to the specs YOU want. Put your money on the line for a change. Glen has given you a great lead on a engineering/prototype/designer/fabricator. Greg Brown cannot and will never be bullied/cajoled/sweet-talked into ever providing products to fuel your ego, so get over it and go elsewhere. Fund your own 100 HP intake and laugh all the way to a 1st place at the finish line or whatever your goal is. I have one set of unclaimed flanges from the first batch available for immediate delivery, also have a spare set of the matching fuel rails. If anyone is interested, PM me for details. Here you go, short and long, for use outside of California. Last edited by Strosek Ultra; 03-18-2016 at 09:19 AM.